Hey Guest! Welcome to Shinobi Legacies; if you have yet to register or log in, we kindly ask you to please do so. So, what does being a member give you? Zero advertisements, roleplaying capabilities, access to our chatbox, the ability to post, and more! Make sure you guys read up on the newest plots and information in the 'Announcements'! Announcements, Updates, News and other important things will be posted in this section, constantly scan this area and make sure you read everything inside it because this information is vital to your roleplaying experience. Only staff members can post topics here, members are permitted to reply however. Here you may read the rules in order to avoid getting banned for being stupid. The hard-working staff of 'Shinobi Legacies' do not ask a whole lot out of you guys, the members. The least you can do is read over the short topics of rules that you may encounter within this forum. If you have any ideas to make this site better please post them here. Your input will be greatly appreciated, so long as it is entirely constructive. On another note: please do not post up a suggestion based on only your opinion, and quite possibly no one else's. 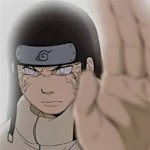 Not everyone is a magnificent RPer, a genius concerning all things Naruto, or exactly 'experienced' with forumotion or Role-playing in general; because of this, we have developed this section to be dedicated to all forms of guides and help. Check 'em out when you can! Welcome to the new and improved Mission Board. Not got anything going on at the moment because you havent been assigned a team or your team is on break? Why not try one of the many missions here on the Mission Board. If you are new to the Roleplaying Community of Shinobi Legends, post your greeting or introduction in this forum! Try to put as much information about yourself as possible, this is so that people may get to know you more easily. It won't take long, so come on! Before you start roleplaying you must create your ninja by copying the template and making your application. A staff member will approve it when your application is seen to be acceptable. Jutsu Applications, once your approved and you want more jutsu, feel free to post them up here, train them and get approval. If you wish to create a clan then post it here. But remember to state if the clan is open to every member or just yourself. Do not steal anyone else's clan, from this site or not! If they do not belong to you, you will not be allowed a clan at all, if you do not have their permission. Here is where you go to create all the equipment for your shinobi. You create weapons, puppets and items here for your shinobi. You automatically get basic weaponry, such as: kunai, shuriken, and senbon - so no need to apply for them. Here is where you can make your applications for a creature of your choice. This is the forum for you to post up contracts or applications for your very own pets or summons. Please try to specify who all can and do know these contracts. What was once the great Hidden Leaf Village, is now the Leaf Country. Although their most recent of Hokages were killed, they thrive under the rule of their current leader. Without the corrupted rule of the Fire Country Daimyo, the Hokage has grown tremendously in power; being the number one most powerful person in all of the Leaf Country, which has been deemed so in recent years, after seceding from it's former country. Although their military strength is great and their population unmatched, their economy is on the brink of a depression. The Sand Country, sometimes called the "Great Country of Sand" is one of the most powerful countries in the world, along with the other three great countries of the world. It's military strength can match that of any of it's allies, while it's economy remains unmatched in strength. The Sand Country is the leading exporter of the majority of the world's glass and sand minerals, both being very important resources in the modern day shinobi world. It's population is nothing special, however, but the majority of it's people are shinobi, rather than civilians. It has certainly earned it's great strength after relinquishing the oppression of the Wind Country Daimyo. The Mist Country, nicknamed "Country Hidden in Mist", is one of the three great countries in the shinobi world. It was one of the three, along with Konoha no Kuni and Suna no Kuni, that had made the decision to rebel against their country Daimyos, several decades ago, to form even more powerful countries. Their military strength is great, and compares evenly to it's counter-parts, Konoha and Suna, while it's economy is nothing to glance twice at. The population of the Mist Country, having grown vastly in recent years, surpasses that of Suna by far but remains behind Konoha. Sound Country is marked by forests and rice fields. The country had been marked by conflict in the past, with wars with neighboring countries taking a heavy toll on its clans like the Fuuma. It was this constant strife that provided the country with enough reason to welcome Akatsuki in the hopes they could make them powerful. The country shares borders Fire and two as of yet unnamed countries. In recent past, Otogakure defeated Iwagakure and Kumogakure, making them a place as one of the four world powers and a country themselves. 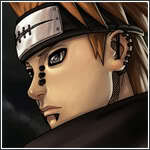 Hidden Cloud is one of the more powerful ninja villages in the world, allowing its leader to be called a "Kage." As such it is one of the Five Great Shinobi Countries. Approximately 9 years before the start of the series, Hidden Cloud and Leaf were locked in war. The two countries decided to sign a peace treaty to end the conflict. Unfortunately Hidden Cloud used the treaty signing as a means to gain access to Leaf and then kidnap Hyuuga Hinata and get the Byakugan. Cloud is also one of the shinobi countries to utilize Jinchuuriki. Cloud ninja Nii Yugito was the host of the two-tailed cat demon. The Raikage's brother Killer Bee was the host of the eight-tailed ox-cephalopod demon. The Land of Rain is home to Amegakure or Hidden Rain Village, and is filled with a great number of small buildings in a heavily wooded area, suggesting that it might perhaps be located in a rainforest. Its borders are highly defended, and those wishing to pass through the country must first give their name, purpose, and amount of time they intend on staying in the country before being allowed admission. Even if one is permitted to enter the country, they will be under constant surveillance by the government for the duration of their stay. A small country surrounded by the Lands of Fire, Rain, Bird, Earth and Waterfall. This land has an abundance of bamboo forests, grasslands, rivers and mountains. Little more is known about the country except that it’s speculated that Grass ninja specialize in nature or plant jutsus. The most notable shinobi from Grass country is Zetsu. The country was invaded by Rock ninjas during the Great Ninja War. Sasori's meeting point with his spy, Kabuto, was set at the Tenchi Bridge in the Land of Grass. The hidden village is called Kusagakure, Village Hidden Among Grass, and is located in the Land of Grass. The majority of information on Hidden Waterfall was stated in OVA #2. Unfortunately the movie sits outside of manga continuity so village information may be proved one day inaccurate. The village itself is a lower shinobi country, being allied with Grass, Leaf, Rain and Sand. As such it participates in the Chuunin Exam with these countries. In the Chuunin Exam Naruto participated in, no Waterfall team made it beyond the second exam test. The village itself appeared to not have many active ninja when former Jounin Suien attacked the village, instead relying upon Naruto and Shibuki to defeat the ninja. For the sake of their reputation, we will assume most of the ninja were away on missions. The Iron Country is a small neutral land formed by three mountains called the "Three Wolves." It maintains a unique culture and strong military which uses samurai for protection. Ninja villages respect their neutrality and do not challenge their force. Their neutrality made them a good location for the Kage Summit called by the Raikage. Here is where you can set up some battles between you and other players for practice. You can be in as many as you want alongside an RP since these are simply OOC. Here is where you can train your techniques, and regular old abilities. It could be located inside of your village or outside of your village or maybe in an entirely different area but it is your own quarters. Here is the place where you can either post or participate in the ever so popular 'forum games'. Forum games consist widely of posting games such as "King of the Hill" or "Count to 1000". So enjoy yourselves with this forum, but remember and keep in mind that the same rules apply that apply to every other forum of the site. The forum for anything and everything you may want to chat about. If it corresponds with the rules given in the information area, you will be able to speak with other members about whatever you wish! Are you having some trouble with your computer? Do you need help installing new software or hardware? Then this is the place to request help or start a discussion! However, the same rules that may apply to all other forums apply to this forum as well. Keep in mind, that we do not permit hacking. The one and only place on the entire site that advertising will be allowed. Although we will allowing you to post up an advertisement for your site or another's in this forum, there will of course be requirements.